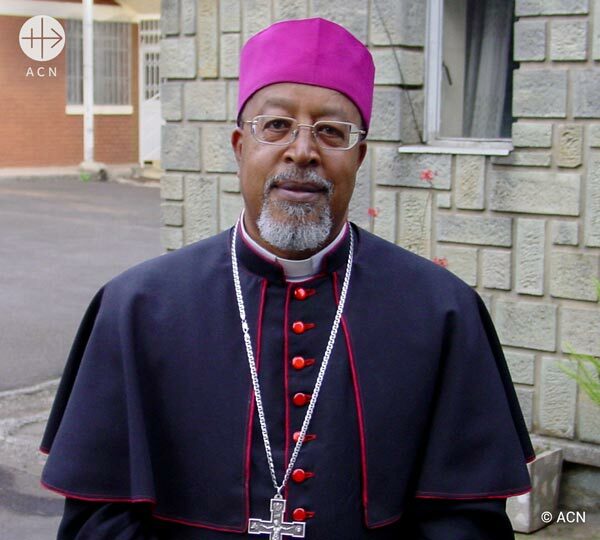 Cardinal Berhaneyesus Demerew Souraphiel, Head of Ethiopian Bishops Conference and Archbishop of Addis Ababa recently visited the Pontifical Foundation Aid to the Church in Need (ACN) in Königstein, (Germany) to say a word of thanks for the help given by the Charity to the pastoral work of the Church in his country. Benedikt Winkler, a journalist at the weekly newspaper “Die Tagespost”, took the opportunity to speak to him about the current political situation in Ethiopia, relations with Islam and the important work done by the Catholic minority in the country. Eminence, the peace treaty between Ethiopia and Eritrea was recently signed in Jeddah in Saudi Arabia on 16th of September. How do you view the influence of Saudi Arabia on Ethiopia? The decision for peace was taken in Saudi Arabia, not in New York or Bejing. I don’t know why. Saudi Arabia is a country with great influence in the Red Sea region. Saudi Arabia is probably also interested in the peace in the region around the Red Sea and the Indian Ocean. This may be the sole reason but I don’t really know whether other interests are involved. Do you see the nascent peace in Ethiopia more threatened by religious or by ethnical conflicts? I would say at the moment more by ethnical conflicts because the federal system of government in Ethiopia is based on ethnic lineage. This led to more diversity, more tension and a greater emphasis on ethnic differences than on the unity of all people in Ethiopia. This is why there are ethnic conflicts in various parts of Ethiopia. But I hope that the new Prime Minister Dr. Abiy Ahmed will unify the country and give more priority to unity than to diversity. As you mentioned, Ethiopia’s new prime minister is Abiy Ahmed. He belongs to the Oromo ethnic group. His father is a Muslim, but he himself converted to Protestantism. Is Ahmed the right man to heal the ethnic conflicts? I think so because he has been chosen by the coalition party. He is a person dedicated to unity. But probably some members of the past government are not happy with the way he is carrying out his new mandate. Thus he might encounter some opposition. Over the last six months he has shown that people should come together, forgive each other, reconcile with each other and solve conflicts. What moves him most is his love for his country. Whether he is the right person or not, time will tell. He has made peace with Eritrea. If Eritrea gets good democratic institutions for a stable government, then it could guarantee future stability not only for the horn of Africa but for all of Eastern Africa. Eminence, compared to European countries Ethiopia is a nation with many young people. Many of them seek better job perspectives in Europe, South Africa and Saudi Arabia . What does the church in Ethiopia, the catholic minority and the orthodox majority, do so that young people can prosper in their home country rather than emigrate? Accounting for less than two percent of the population, the Catholic Church is a minority in Ethiopia. It runs many institutions for the youth, be it educational, social or health institutions – in rural as well as in urban areas. We have more than 400 schools in Ethiopia spread all over the country. Most of the schools in the cities are able to maintain themselves but in the rural areas they need to be subsidized. We care for young people from different ethnic or religious groups – orthodox, muslim, protestant. As the Catholic Church in Ethiopia we feel it is important to create training opportunities for young people according to their capabilities. We train young women as nurses, as cooks, as hotel managers. We encourage young people to remain and work in their home country. For this we need an appropriate infrastructure and the possibility of creating new jobs. We don’t encourage emigration especially illegal migration without documents because then the youth become playthings for bandit groups engaged in illegal trafficking of people across the Red Sea to Saudi Arabia or via Libya to Europe. To avoid this we encourage only legal migration – and only when abolutely necessary. We feel that young people love their country and so they should be given opportunities to remain at home. 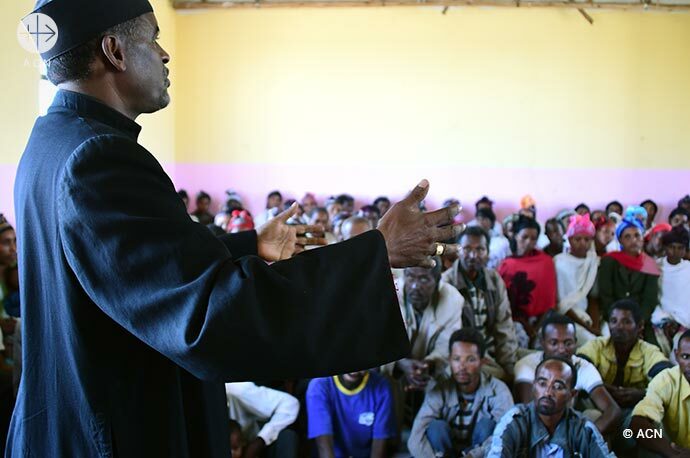 How would you describe the relationship between Christians and Muslims in Ethiopia? The relationship between Islam and Christianity has been peaceful thus far. The prophet Muhammad founded Islam in Mecca. He was persecuted by his own tribe. He had to flee. He sent his relatives to Ethiopia. The Muslims came as refugees to Ethiopia. In Muslim tradition it is written “Don’t touch Ethiopia because Ethiopia was always kind to us when we were refugees”. So we have peaceful coexistence, in particular with the Sunni Muslims in Ethiopia. We don’t have many fundamentalists in the country. Fundamentalists like Al Shabbat which is linked with Al Qaida, can be found in Somalia. Within Ethiopia however we have peaceful coexistence between Christians and Muslims. October 28 is WORLD MISSION SUNDAY. Usually people always think immediately of primary evangelization; but it is also appropriate to speak about what can be done for the re-evangelization of Europe? You know Ethiopia has a lot to give to the world. We were grateful to hear that the Europe had accepted many refugees. Ethiopia itself has taken in nearly a million refugees from South Sudan, Somalia and Eritrea. Why? 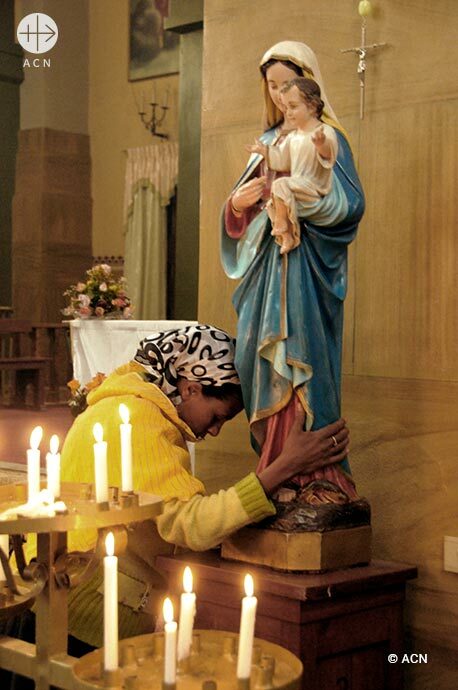 Because Ethiopia has Christian values. Ethiopia has been a Christian nation since apostolic times. We hold that hospitality is part and parcel of the Christian heritage of Ethiopia. Christian values are very important. An elderly person, a refugee, a migrant is first and foremost a human being. He might be sent by God to you. He might be a blessing for you. Receive him well, treat him well. That is biblical. Ethiopia has been doing this for centuries. We received Jews who later went on to Israel. Arabs too. We gave refuge to Armenians, who had suffered persecution in Turkey. Ethiopia has always been a country of hospitality in fidelity to the gospel. I think Europe also needs to strive be faithful to its Christian heritage. The West should not be ashamed of being Christian with great values – be it in times of crisis or in good times like now. 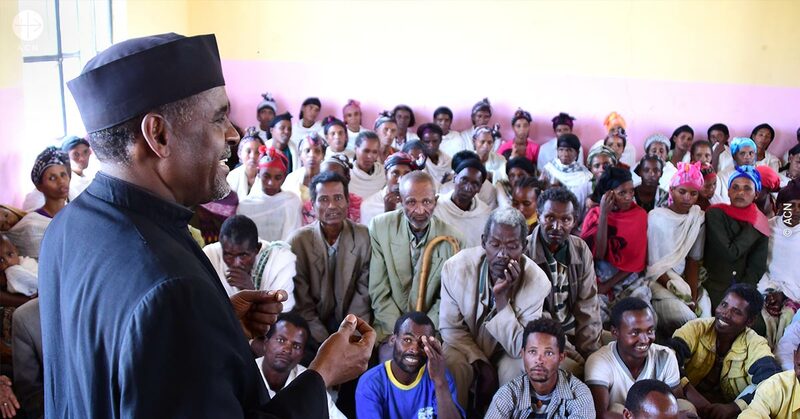 Ethiopia has shown that religion should be given its proper place in society. We hope that we have been able to bring across this message. 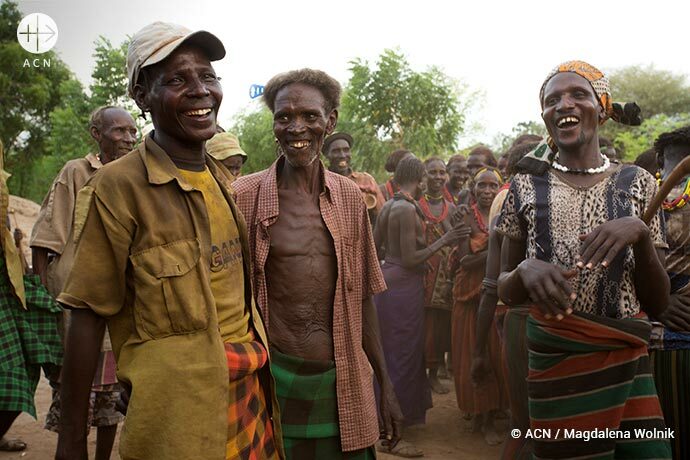 ACN supports numerous projects in Ethiopia. In 2017, there were more than 80 projects for nearly 1.4 million euros.